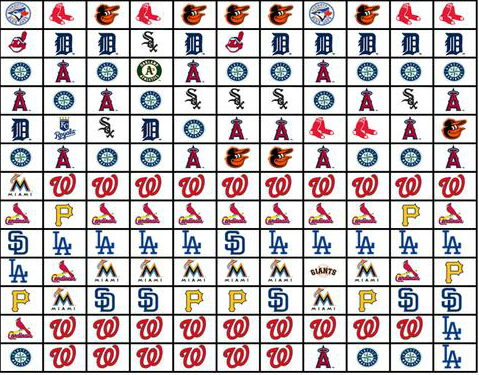 With the start of the 2015 MLB season just a little over 24 hours away, I wanted to share with you my predictions for the season. Let's start with some awards. After finishing 2nd in the MVP voting two years in a row behind Miguel Cabrera, Trout finally won it last season. He's just 23 years old and last season he hit 36 home runs, drove in 111 runs and scored 115 times. However his .287 average was a disappointment after hitting .326 and .323 in his first two full seasons. Price will get plenty of run support in his first full season with the Tigers, something that he was deprived of while pitching for the Rays. Oh yeah, it's also a contract year for Price and we all know how that plays out. It's only a matter of time before the White Sox bring up another potential dominate lefty to follow up Chris Sale and that's Carlos Rodon. At just 22 years of age, he's a potential star in the making. The Mariners missed the playoffs last season by 1 game. The Mariners added Nelson Cruz to improve their offense and the pitching staff looks awfully impressive. Most people think Harper has failed to live up to his hype and they have every reason to believe so. In 3 seasons he has yet to play 140 games or drive in 60 runs. However he just turned 22 in October and he's finally healthy. This is the year Harper becomes an MVP. The MVP and CY Young on the same team? Yes it's very possible because it's going to be that kind of year for the Washington Nationals. Strasburg like Harper has somewhat failed to live up to the hype surrounding him. Strasburg did lead the NL with 242 strike outs last season and has never had an ERA higher than 3.16. Plus if it's not him then one of his teammates will win it. Let's be serious. The Padres have been the most boring team in baseball for the last 10 years. They went out and got an entire new outfield - Justin Upton, Matt Kemp, and Wil Myers. They also have a very solid pitching staff and bullpen. The Padres will contend for a wild card spot this year. World Series - Nationals over Tigers in 6 games.